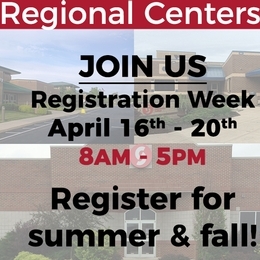 Join us in Englewood and Huber Heights the week of April 16-20 for Registration Week. We will host open walk-in advising daily from 8:00 a.m.-5:00 p.m., have daily giveaways, refreshments, and more!! Be sure to enter the drawing for your chance to win a $500.00 Scholarship!! Winners will be selected at the end of the week from each location.